In order to strengthen the Board and ease the performance of routine activities, the Chairman suggested that Shri. Amit Khandelwal and Shri. 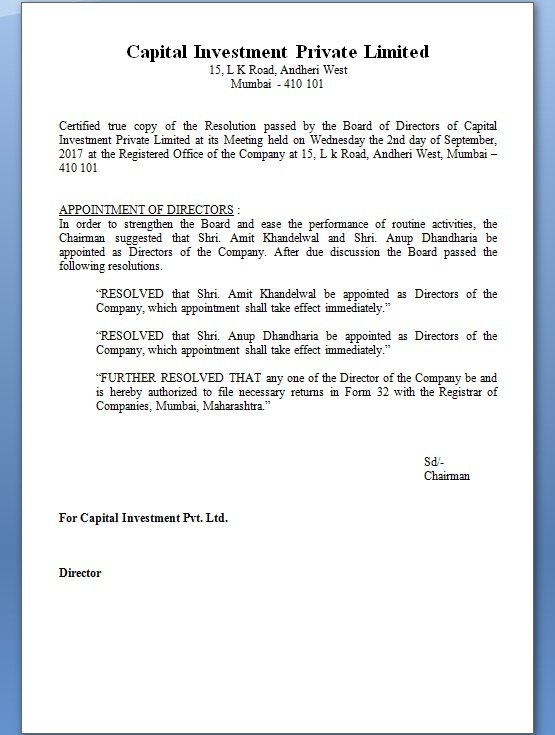 Anup Dhandharia be appointed as Directors of the Company. After due discussion the Board passed the following resolutions. For Capital Investment Pvt. Ltd.